Choose your plan. No lock-in contracts. 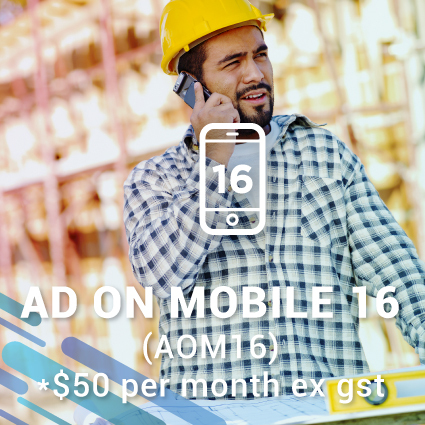 There is a setup fee of $50 +gst per mobile. 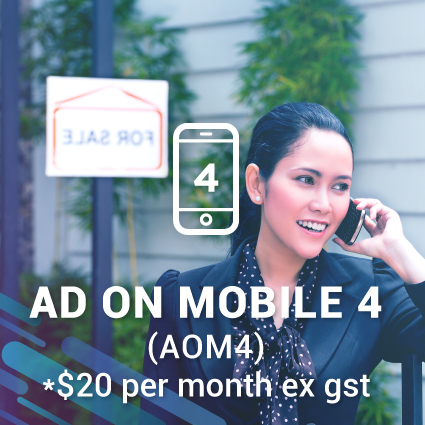 If you require further message packs, you can buy them in 4 packs (AOM4) at a discounted rate of $10 ex gst per month for packs of 4 messages of up to 20 seconds each. This is designed should you want to make any minor changes to any existing Ad On Mobile packages. A minor change is a change to any of your 20 second message/s within your package. This cost is $65 ex gst per change to the 20 second message as a once off charge. Should you wish to write your own custom messages, there is a once off non-refundable setup fee which is charged along with your package to enable the creation of marketing content, provisioning and loading of your Ad On Mobile service. This is charged at $50 +gst per mobile as a once off establishment fee. This is a non-refundable setup cost. The cost to make a change is $65 ex gst per 20 second message. This will be billed as a once off charge to the credit card details you have provided. 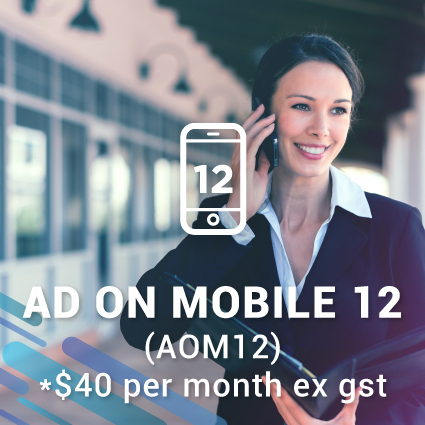 A change package request can be ordered via the Ad On Mobile ordering platform or by emailing your request to info@adonmobile.com.au. We will bill you as per your package order on placement of order, this will get work on your order underway. Under normal circumstances, providing you approve your marketing content, this order provisioning process takes approximately 1 business hour for pre-made messages or 24 hours for custom messages before the service will go live an active on your mobile(s). All payments for packages are paid via credit card, Pay Pal and in special circumstances invoice or direct debit, in accordance with the package descriptions and pricing. We will engage with you to provision this service once you have placed your order. If you have selected from our pre-written messages you will receive a text message confirming the completion of your order within one business hour. If you have chosen to write your own custom messages we will contact you within 24 hours to confirm your order. We will produce the written advertising content for you based on your submitted scripts before loading the messages onto your mobile phone remotely. Once this process is complete we will notify you via mobile text message to each mobile service, informing you that the service is live and active. In the instance of ordering custom written messages, it takes approximately 24 hours to complete and activate your messages onto your mobile service/s. Billing for the service commences on order placement. There are no lock-in contracts for this product. 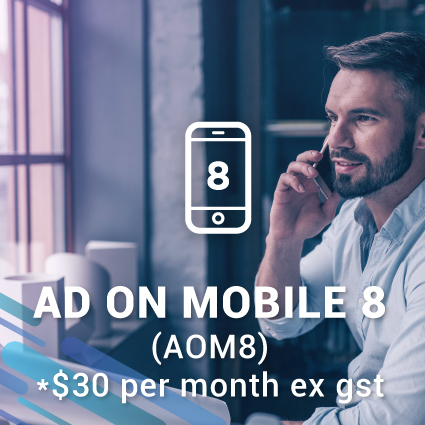 Ad On Mobile is a revolutionary marketing product enabling business owners to get smarter with their ring time and customise the mobile calling experience in exciting new ways. Check out this video that will show you how we process your Ad On Mobile order.